I am excited to be at Alan November’s Building Learning Communities Conference again! 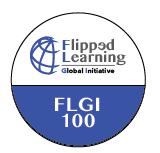 This conference is certainly one of my favorites and I credit it with inspiring me to change my classroom forever (see: memories of how my adventures in #flipclass began). I’ll definitely be sharing a lot this week on this blog and through Twitter, so stay tuned for that. Below, I am sharing my session slides as well as some articles, videos, and sample student work I will be referencing in my presentations. For participants to reflect on ideas that resonated and/or general takeaways from the session. To house conference highlights, favorite sessions attended, and ideas learned here at the Building Learning Communities Conference.